On Dec 28th in the Dalles, Oregon Dr. Jeff Meldrum gave a presentation to kick off the "Sasquatch Revealed" exhibit at the Columbia Gorge Discovery Center. The exhibit was curated by published author Chris Murphy. Susan Buce, marketing director of the Columbia Gorge Discovery Center, deserves a lot of credit for a successful evening; which included a generous last-minute additional presentation by Dr. Jeff Meldrum for those who were not able to buy dinner tickets. The event was completely sold out and very successful. 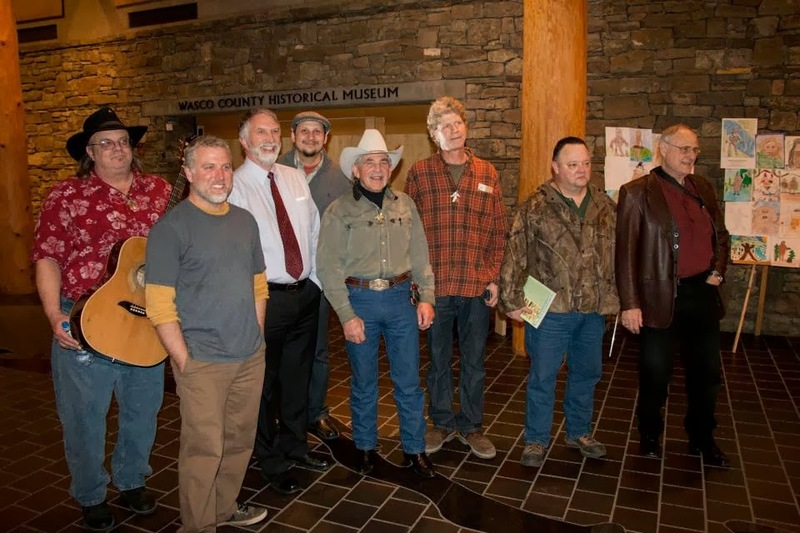 Among the two speakers that were publicized, Dr. Jeff Meldrum and Thomas Steenburg, a surprise guest was Bigfoot legend Bob Gimlin, who recalled the moment he and Roger Patterson filmed Patty. (watch a video of Bob Gimlin describing that day while watching a 3d recreation). After listening to Tom Steenburg I was impressed with his no-nonsense approach to research. He definitely declared the typical caveats, addressing that portions of his research were anecdotal, but he mentioned it at the top of his presentation and didn't belabor the point. In my opinion many bigfooters, myself included, can spend too much time prefacing and defending. Mr. Steenburg does not suffer from this and gets right to the point. I immediately purchased two books authored by Tom Steenburg after the event; In Search of Giants: Meet the Sasquatch and Bigfoot Sasquatch Encounters. I recommend them in that order. These are great books that cover the Canadian side of the Sasquatch Phenomena. 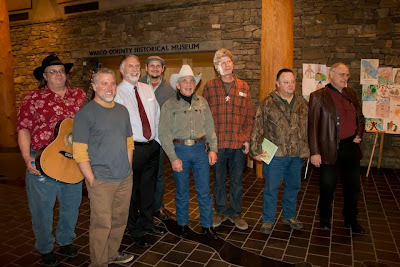 Speaking of books, novelist Kirk Sigurdson attended the event with me and we were able to spend some more time afterwords with Cliff Barackman, Bob Gimlin, Dr. Meldrum, Chris Murphy, and Tom Steenburg. Cliff had some casts from his Orang Pendek Project and shared them with Meldrum. Kirk has some excellent follow ups from the event with greater detail at his Kultusbook.com website. There are two links below. 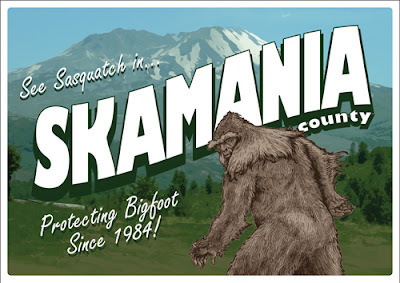 Read about the Sasquatch Revealed "after-party". Looking to Travel the Columbia River Gorge? Check out Columbia River Gorge lodging and Columbia River Gorge attractions. 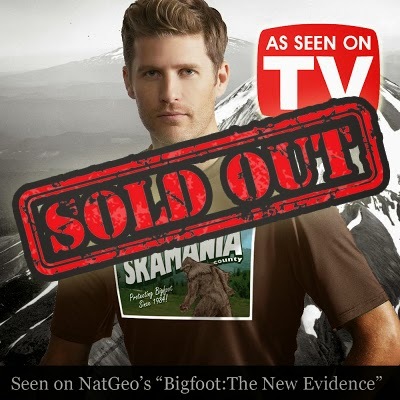 The “Sasquatch Revealed” dinner event for Saturday, Dec. 28 is sold out at the Columbia Gorge Discovery Center, but there is good news for those who still wish to hear Dr. Jeff Meldrum, Chris Murphy and Thomas Steenburg. An afternoon presentation at 3 p.m. has been added to the schedule. Cost is $15 for non-members, and $10 for members. Space is limited, so don’t delay, get your reservation in today. Call 541-296-8600 x 201 for more information or visit www.gorgediscovery.org. The exhibit will be on display through February 23, 2014. Earlier this month novelist Kirk Sigurdson released his much-anticipated novel about Bigfoot. Like any great novel, it's themes transcend what the book is "about". 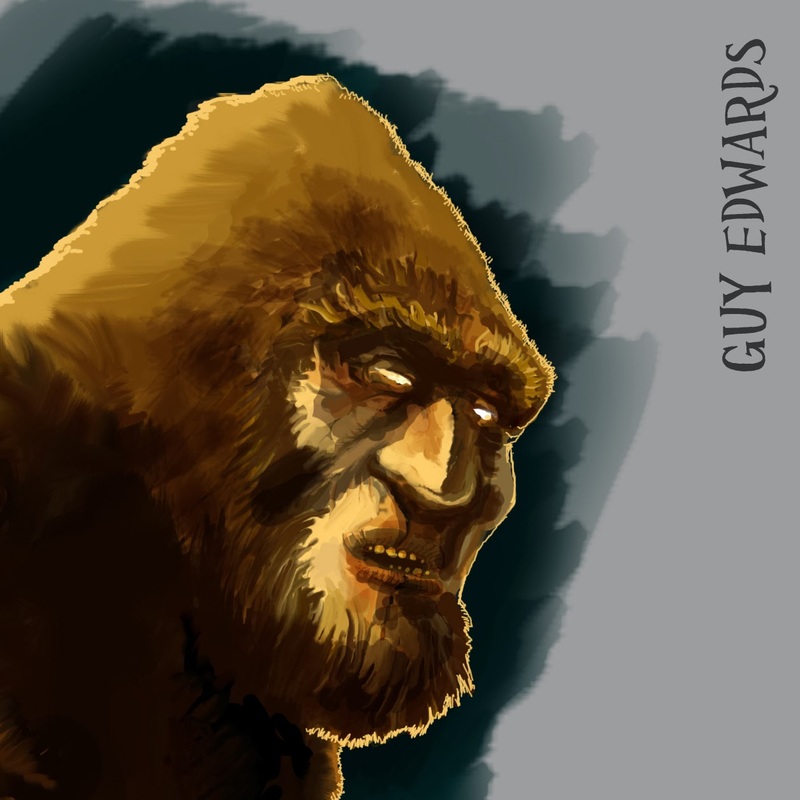 There is no doubt if you are fascinated by Bigfoot and want to read something by somebody who knows a thing or two about the Sasquatch phenomenon, Kultus will be a book you will recommend to a friend. I feel like a lot of Bigfoot fiction (movies too) fall short because they are usually ONLY about Bigfoot. Too many nods to established Bigfoot canon; Bluff Creek, Ape Canyon, P/G Film. I understand there should be some homage to these pillars of bigfootery, but what about something that stretches us a little? This brings us to Kultus. And the Bigfoot troll. In the Bigfoot community we have the fortune of Native American oral traditions, these have shaped our curiosity and even our research. What if there is an additional way to describe Bigfoot, based on other traditions? How far have we dug? Are there European or Arabic Bigfoot legends we have ignored? 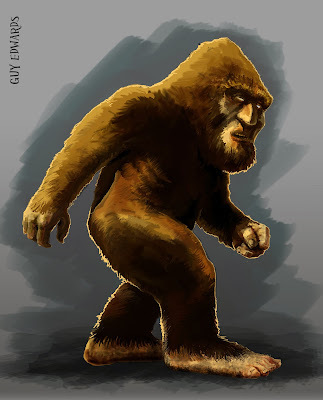 While the Bigfoot in Kultus is traditional, in the sense that it does not conflict with most behaviors we have heard and read about, it is an inspiration to broaden our understanding of the Sasquatch phenomena. At KultusBook.com, the companion blog to the Kutus novel, you can read a two-part series on Trolls and Bigfoot. We have a small blurb for part one and part two below. My name is Sanel Hodzic and today December 12, 2012 at approximately 3 pm I was hiking with my dog up Teapot Hill Hiking Trail near Cultus Lake Provincial Park in the Fraser Valley nearest would be toward Chilliwack., British Columbia, Canada. On my way down the trail I was changing my music on my iPhone not really paying attention to my surroundings when I noticed that my dog, Lila was barking like crazy. She was about 5 feet ahead of me and staring off into the distance. So I stopped and looked ahead when I noticed something in the bushes about 50 feet ahead of me. I was so scared that I froze and just kept staring at it. After about a 10 second stare down I switched my camera on and quickly took a picture. Meanwhile my dog is still barking like crazy. I then picked up a rock and threw it in the direction of the thing and then I quickly turned around and ran back up the hill. I waited about until I saw someone else coming down the hill and followed him closely behind all the down. I do believe I saw the Sasquatch/Bigfoot that day. If I could describe it I would say he was about 8-9 feet tall, very hairy and big. His skin colour was brownish. His face was something like a monkey/ape. I took with a full zoom with my iPhone 4. He was about 50 yards away from me. He’s in the middle right-ish of the picture. Only thing I noticed really was how he was standing, looking at me. It had a long face, but bigger forehead with long hair starting from about the top of its head. 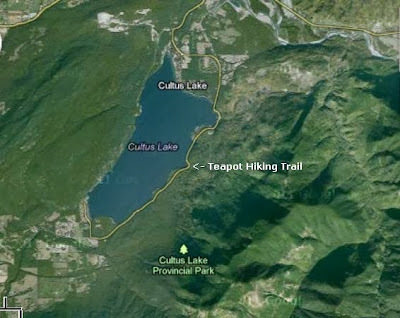 Interesting that this sighting took place near Cultus lake while we are celebrating Kultus week. This of course is a homophone; a word that sounds the same but is spelled differently. And if you want to read the current best Bigfoot novel, you can buy it from Amazon.com using the link below. The News Harold reports on a a local North Carolina team determined to find the truth regarding the reporting of strange lights and Bigfoot. Porter and his group hope to determine if they are related or independent phenomena. Read the excerpt below with a brief profile of the groups intentions. 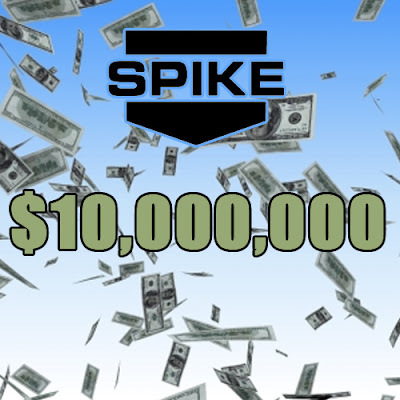 The group is made up of ex-law enforcement, a private investigator and sales managers. Porter Sr. said his group uses video surveillance, take environmental notes and collect evidence samples. The group then turns interprets the video footage and sends the samples to experts in their respective fields for processing. Porter Sr. said his group always comes back with evidence. When his group ventured recently to an area off Old N.C. 105, a group member called Porter Sr. and said they had gotten a report of a Sasquatch in the area. 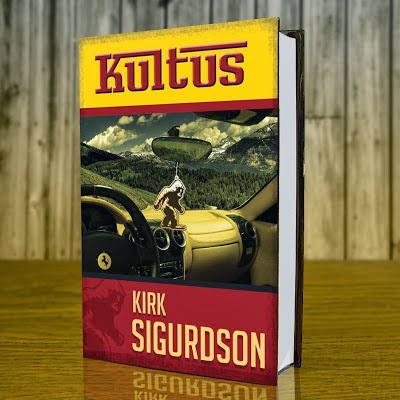 Kultus Book Week Day 3: Sasquatch and Us Interview with Kirk Sigurdson. "Chris Munch's film, Letters from the Big Man, is today the most philosophical story ever to grace the silver screen involving a sasquatch." 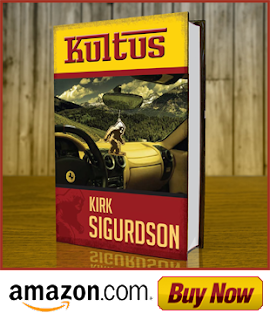 Kirk Sigurdson's novel, Kultus is now available on Amazon.com. This entire week we have been celebrating the launch of his book, here at the website and also on the Bigfoot Lunch Club Facebook Page. While a few of you are just now becoming familiar with Kirk Sigurdson, many of you know he has been a major influence in the community for almost over a decade. In fact one of his greatest contributions hass been as a consultant to Christopher Munch's well-reviewed movie Letters from The Big Man. Thom [Powell] and I helped to steer Chris towards a deep and meaningful direction. In his usual way, Thom was the enabler. He encouraged Chris to "go there." And since I had just returned from "there," I was more than happy to share my insights. "There," in the context of our discussion, involved sasquatch as not merely a relict species of hominid, but also as a deeply complex being that quite possibly pushes the boundaries of that magical place between known and unknown technologies. Yes, that's right, we made it abundantly clear to Chris that the rumors about sasquatch and intra-dimensional goings-on were more than merely the wishful thinking of New Age tree-huggers and faerie dust. As you may know, the rest is history: Chris Munch's film, Letters from the Big Man, is today the most philosophical story ever to grace the silver screen involving a sasquatch. I feel privileged to have been included in the "brain storming" stages of the project, prior to when Chris began conjuring his imaginary world into which his story line figured prominently. After the film was completed, Christopher Munch wanted to add a bonus feature for the DVD release. The feature would include many of the people Christopher had come in contact with. 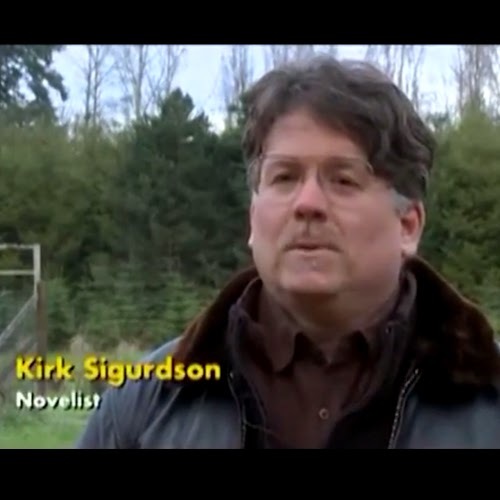 Watch a few excerpts featuring Kirk Sigurdson below. You can buy Kultus at Amazon.com or get signed copies of Kultus at KultusBook.com. As editor of BigfootLunchClub.com, I have read about every Bigfoot book out there (fiction and non-fiction). Except for Shady Neighbors and Eve, many times the fiction novels can fall a little short. This book is another exception and definitely sets the bar for Bigfoot literature. Kirk Sigurdson is a professional novelist and it shows with every line, page, and chapter. The overall story arc is riveting, relying on many Sasquatch scenarios familiar to the Bigfoot community. The strength of this novel is it will appeal to anybody who loves a mystery and is willing to meet interesting characters. This novel stands on its own as great fiction, it just happens to have a Bigfoot--and this Bigfoot is like no other. 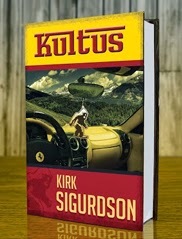 Kultus is the fifth novel written by Kirk. It touches upon the universal nature of love, sentience, and the sustainability of resources in a world burdened with an ever-growing human population. A surprising amount of research from the fields of anthropology and cryptozoology helps to enrich the story with realistic details. Like Upton Sinclair's, The Jungle, Kultus has the power to transform society for the better. Its social commentary about non-human intelligence is at once captivating, and also chilling. The Author, Kirk Sigurdson is currently a Professor of Writing and English literature at Portland Community his research for the novel included venturing dozens and dozens of times into Sasquatch "hot spots" for overnighters, often with friends who shared some very unique experiences. If you were fortunate enough to get the Letters from the Big Man DVD, it included a bonus documentary which featured Kirk. Kirk has also been a guest writer here at Bigfoot Lunch Club. KultusBook.com is also home to Kirk Sigurdson's new blog where he will share his unique perspective on Bigfoot and the world at large. Below is a press release from The Discovery Center and Museum in the Dalles, Oregon. This should be a great event for the whole family. A presentation by Dr. Jeff Meldrum will kick off a new exhibit curated by Chris Murphy himself. 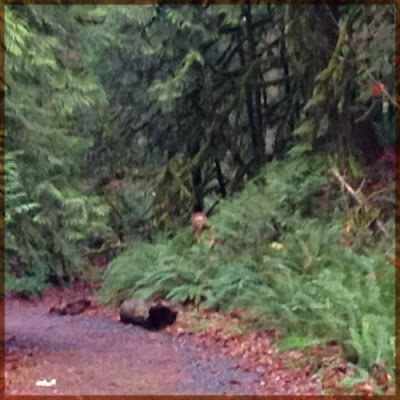 THE DALLES, Oregon — Does Sasquatch exist? Rumors of a large, hairy, man-like creature roaming the Cascade Mountains have existed for centuries. Where does myth end and science begin? Columbia Gorge Discovery Center presents “Sasquatch Revealed,” a new exhibit opening Saturday, December 28, 2013 with dinner at 5:30 p.m. and a speaker presentation by Dr. Jeff Meldrum, Chris Murphy, and Thomas Steenburg following at 6:30 p.m. This exhibit draws from all the available scientific research and evidence compiled to date on the hominoid known as Sasquatch, or Bigfoot. The display, curated by Christopher Murphy of Vancouver, British Columbia, will be at the Columbia Gorge Discovery Center through February 23, 2014. Explore audio segments, view a gallery of footprint and handprint casts, reports of sightings in Wasco County and United States, newspaper reports, comparative skulls, and artist renditions. Buffet dinner will be served starting at 5:30 pm in the Basalt Rock Café, with your choice of herb-encrusted prime rib or roast salmon with lemon dill glaze. Children’s menu includes ‘Mountain Mac & Cheese’ and ‘Sasquatch Stronganoff’. Following the dinner, noted Sasquatch researchers Dr. Jeff Meldrum, Chris Murphy and Thomas Steenburg will give a presentation. DR. JEFF MELDRUM, Professor of Anthropology from Idaho State University will give a talk Dec. 28 and sign his acclaimed book, “Sasquatch: Legend Meets Science.” Medrum’s book takes a detailed look at the scientific DNA and forensic evidence gathered on Sasquatch. Meldrum has published numerous academic papers ranging from vertebrate evolutionary morphology, and the emergence of bipedal locomotion in modern humans. Dr. Meldrum is also a co-editor of a series of books on paleontology. CHRIS MURPHY became involved in the Sasquatch mystery when he met René Dahinden in 1993. He then worked with Dahinden in producing posters from the Patterson/Gimlin film and marketing them along with Sasquatch footprint casts. In 2000, Chris embarked on a project to assemble a comprehensive pictorial presentation on the Sasquatch. This initiative led to publication of his book “Meet the Sasquatch,” written in association with John Green and Thomas Steenburg, and his Sasquatch exhibit at the Vancouver, B.C., Museum. 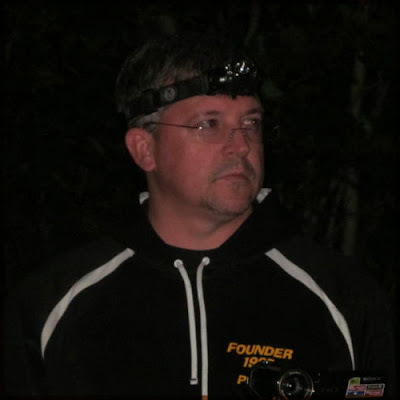 THOMAS STEENBURG, born in Ontario, Canada, in 1961, has been actively interested in the Sasquatch since a child. Since 1979, he has actively gone into the rugged outdoors in search of the elusive Sasquatch. Having interviewed many eye-witnesses and investigate many reported sightings, he is all the more determined to pursue and answer the question: is the Sasquatch real or simply folklore? Steenburg has authored three books on the Sasquatch mystery and has appeared in several television documentaries and as a public speaker. Cost for Adult dinner and presentation: $20 members, $25 non-members; Children: $10 members, $15 non-members. Cost for presentation only: $10 members, $15 non-members; Children: $5 members, $7.50 non-members. Reservations are required by Monday, Dec. 23. For information or reservations call 541-296-8600 x 201. The exhibit will be at the Columbia Gorge Discovery Center through February 23, 2014. The Discovery Center and Wasco County Historical Museum is the official interpretive center for the Columbia River Gorge National Scenic Area. Live raptor shows are presented Friday, Saturday and Sunday. Hands-on, multi-media exhibits illuminate the cultural and natural history of the Gorge, including Ice Age geology, Native American culture, Lewis and Clark's cargo, the Oregon Trail, trade, transportation, ecology, and more. The Discovery Center is located off I-84 at exit 82, 5000 Discovery Drive, The Dalles, Oregon, 97058. Open daily from 9 a.m. to 5 p.m. Museum adult admission is $9, seniors $7, kids 6 to16 are $5, and children 5 and under free. For more information, phone (541) 296-8600 x 201, or visit www.gorgediscovery.org. Be the envy of your family and friends with this collectors edition of the Skamania County Bigfoot tshirt commemorating the first law to recognize and protect Bigfoot. This Bigfoot Tshirt is the perfect gift for your favorite bigfooter--even if that favorite bigfooter is yourself. Ships in 3 days or less!!! Limited supply! these will ship in 3 days or less! 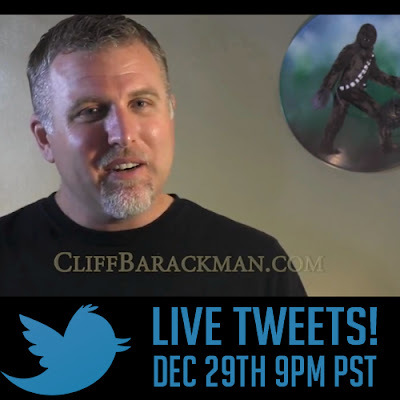 Bigfoot insiders have embraced the tshirt. Watch Rev. 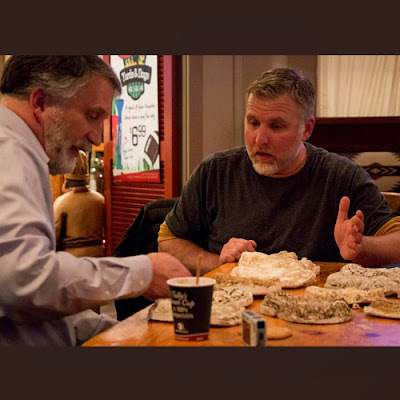 Jeff and David Batdorf from the Squatcher's Lounge give high praise in this unsolicited endorsement video. The season 4 opener of Animal Planet's Finding Bigfoot revisited the home of the Fouke Monster. Four decades later this local legend continues to stir the hearts and minds of the local residents. Watch the Finding Bigfoot Arkansas promotional video below and then an article written exactly 15 years ago regarding an uptick of Fouke monster sightings. 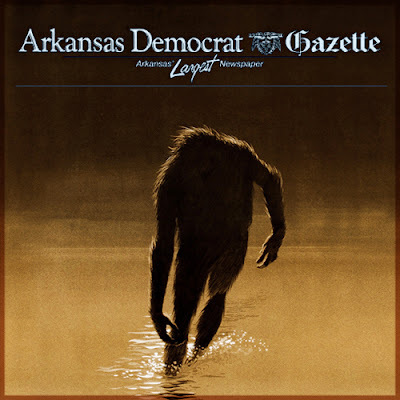 Arkansas Democrat-Gazette, Tuesday, December 1, 1998 -- FOUKE -- The Fouke monster, a legendary bigfoot look-alike, still stalks the lowlands of Miller County, according to local residents. "There were 40-some sightings last year," said Rickie Roberts, Fouke's unofficial monster spokesman. "There were 22 sightings in one day. ... There's even one guy who swears there's a family [of monsters] who live behind his house." Roberts, who owns the Monster Mart grocery on U.S. 71, said the latest sighting came July 17 when four people purportedly saw the creature walking along a dry creek bed about 5 miles south of town. Sightings of the Fouke monster have been reported since the 1940s, according to newspaper articles. In all that time, no one has photographed the creature or captured it. For a time, the only evidence of the creature was a plaster cast of a 13 1/2-inch footprint taken from a local soybean field. The cast was destroyed in a service station fire in the late 1970s, Roberts said. "That was the only real proof you'd have around here" that the monster exists, he said. Though scores of residents have reported seeing the hairy creature, experts scoff at its existence. Frank Schamback, an archaeologist at Southern Arkansas University at Magnolia who debunked the footprint as a hoax in the 1970s, said he doesn't believe in the Fouke monster. "They like mystery," he said. "It's just that. People like to have a mystery." Residents would have proof by now if the creature existed, Schamback said. "There are people down there with dogs who would have run it down in two days" if it existed, he said. Toby Giles, Miller County's chief sheriff's deputy, said there haven't been any reported sightings in the past few years, but "we do [have one] every once in a while." The sheriff's office used to receive a few reported sightings when he joined the department about 14 years ago, Giles said. "But nothing was ever confirmed," Giles said. "It's still a well-talked-about subject." The town plays up its connection with the monster. Down the road from Monster Mart, a visitor can poke his head through a hole in a metal silhouette and have his photo taken as the monster. Roberts, who sells monster T-shirts, caps and bumper stickers at his store, said the long-armed creature has been described as 6 to 9 feet tall with red, brown, black or black-gray hair covering its body. Roberts said he has never seen the animal, which he speculates might be a "swamp ape," and he wouldn't admit it if he had. "I wouldn't say a word," he said. "People'd think you're crazy." He has heard an eerie howl, possibly from the monster, that almost defies description, Roberts said. "I've heard it twice. It's a different sound. I don't know what you would call it," he said. "It'd be a sound like a cross between a cow bellow and a panther screaming." The monster has never harmed anyone although it may have caused a few heart-pounding frights, Roberts said. "This thing has never attacked anyone," he said. The Fouke monster brought attention to the town in 1972. Film crews descended on Fouke that year to make the Legend of Boggy Creek and forever put the community on the map. The town of 614 is listed on the Internet as one of the top 10 places in the world to look for bigfoot, the name associated with creatures similar to the Fouke monster, Roberts said. "We get people in here every day" looking for the monster, he said. "We had a guy save his money for two years to come down from Indiana this summer." Roberts' wife, Beverly, said too many credible people have seen what they described as the monster for her not to believe it exists. "I've got family members who firmly believe they've seen it," she said, noting that they moved away shortly after the experience. "Whatever it is, there is something." Tracy Nichols and Sue Page, who work at City Hall, said they have heard scores of monster tales over the years. Nichols, noting that the creature is generally associated with "a bad odor," said a local man recently saw the monster twice, "but he won't talk about. He's afraid of being ridiculed." Although uncertain of her own beliefs, she said, "I've heard credible people come through here who said they've seen it." Nichols admitted that the legend is fun. "We went hunting for it the weekend before last," she said. Page, whose constable father appeared as himself in the Legend of Boggy Creek, said, "I don't know if it's true or not." "We have calls from way off [from people] wanting to know about it," she said. Fouke resident Lavelle Brune said she thought she saw the monster recently. "We saw it" while driving out of town, she said, but "we got to looking, and it was just a bush."